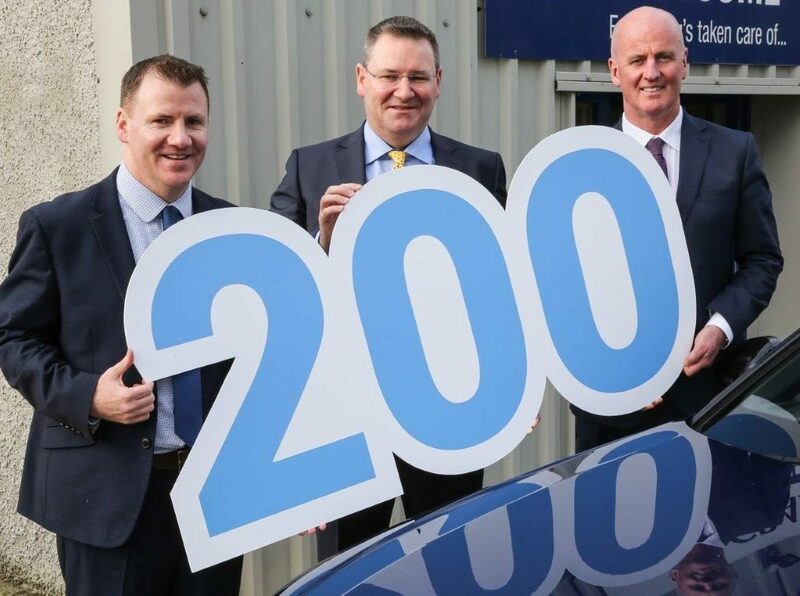 Congratulations to our member, CRASH Services who have expanded their vehicle fleet to over 200 following a record year. CRASH Services have been assisting motorists involved in road traffic collisions for over 23 years. However, 2018 was their busiest year ever, with an almost 20% increase in volumes from the previous year which has led to a significant increase in their fleet as well as staff numbers. We offer a full range of vehicles including standard models, prestige, vans, 4x4s, taxi and dual controls. It is essential that our clients can get on with their daily lives after a collision, so they need a vehicle like their own. As a result of this growth, CRASH Services have increased staff numbers from 64 to 78 over the last 12 months across their three offices in Newry and Belfast.